Is there more bad blood on the way in the music biz? Fresh off a summer of celebrity wars of words between the likes of Miley Cyrus and Nicki Minaj and more, it seems like there could be another feud brewing. Some fans are wondering if Justin Bieber threw shade at One Direction in a Snapchat video he posted that has been making its rounds on the interwebs. In the video, the "What Do You Mean" performer looks into the camera and says, "The face you make when you come out with an album the same day as Justin Bieber." Then, he makes a scared and goofy face. In case you didn't know, Justin Bieber and One Direction both have albums set to come out on Nov. 13. Well, that certainly does seem a bit suspicious. After all, it doesn't seem like any other big name celebs or bands have albums coming out that same day. 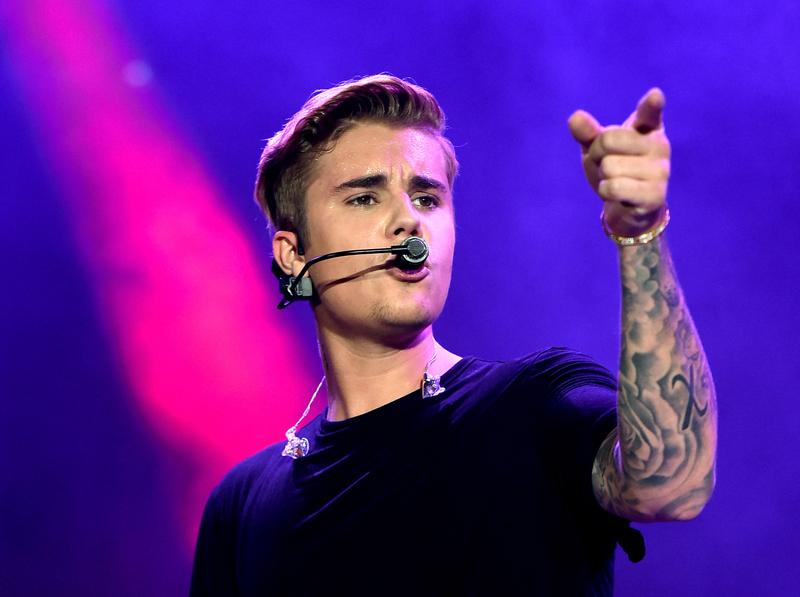 It is probably safe to say that Bieber's message was directed at 1D — whether it was meant to be a joke or not. But at the same time, Directioners and Beliebers alike should not be too worried about any major feud or rivalry to come, and here's why. As One Direction officially announced in August of this year, they will be going on an extended hiatus in 2016, and although the band is not officially splitting up, they are not sure how long their break will last. So this reason is a little obvious. After all, you can't feud with a band if the band does not exist! Even before the band goes on hiatus, they still have an important duty to attend to — wrapping up their last tour together before the break. They will probably be way to busy to get involved with any kind of feud as they finish this one up. Did you know One Direction and the Biebs have palled around together before? They chilled out so long in the studio together back in 2012 that speculation ensued they were actually collaborating on a song together. Sadly for fans of the would-be combination, hanging out in the studio actually meant hanging out in the studio in this case. That being said, Bieber said to BBC Radio 2 not long after, "If they wanted me on their album, they just have to ask." He also added that they're "good... really talented." Bieber and the One Direction guys have publicly shown support to one another on social media before. Not long after their 2012 studio hangout, band member Liam Payne tweeted, "Got a first listen to justin biebers new album yesterday wowww big songs!!! Its gunna be a smash… Expect the unexpected." Bieber reiterated the love by saying," thanks buddy. good chillin with u guys." At the end of the day, the music industry is competitive, so it is only natural that sometimes a musician's competitive nature would come out. But there are times to be worried about a huge blow up, and this does not seem to be one of them.